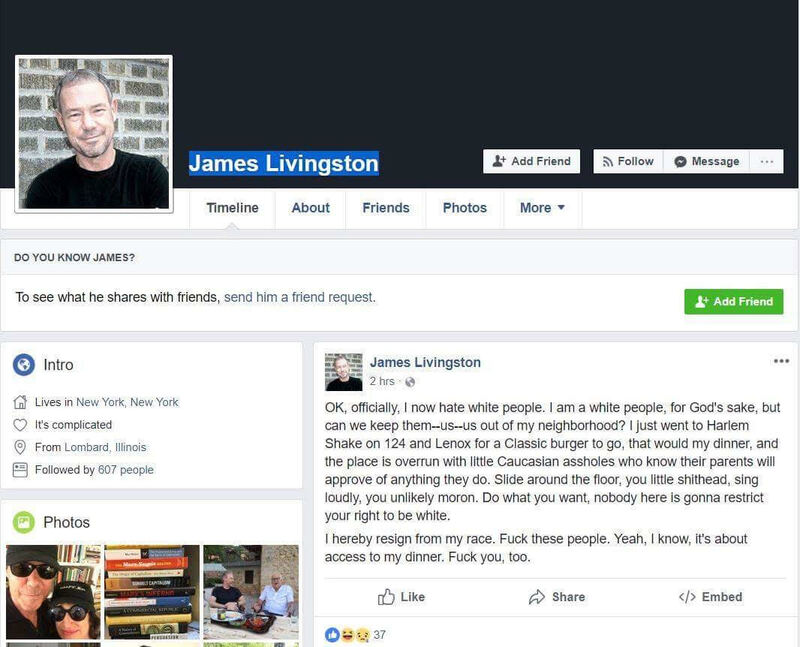 Fox News is reporting that James Livingston, a history professor at Rutgers who happens to be white, decided that he hates whites when he railed against white children eating in a Harlem restaurant while he was there. Fox News picked up the story from the Daily Caller who reported that the New Jersey professor said Thursday that he “officially” “now hate[s] white people” in a Facebook post that was subsequently deleted. Fox News reported that owners of the burger joint, Jelena Pasic and Dardra Coaxum, banned him from their establishment.